Michael Baden, a former New York examiner and noted trial expert witness, said that although both examinations of Wood’s body looked at the same evidence, the new report found the bruising to be far more significant — enough to change the official cause of death. Through three decades of fevered tabloid speculation and whispers of a deeper story, the official account never changed: Natalie Wood drowned accidentally. The 43-year-old star of “West Side Story,” who couldn’t swim, had been drinking the night before she was found floating face-down in frigid waters off Santa Catalina Island. When the Los Angeles County Sheriff’s Department reopened the case in November 2011 around the 30th anniversary of her death, skeptics questioned the timing and doubted whether there was anything new to be learned. Instead of quieting speculation, the investigation has raised fresh — and probably unanswerable — questions about one of Hollywood’s most enduring puzzles. The coroner’s report cited unexplained fresh bruising on the actress’ right forearm, left wrist and right knee, along with a scratch on her neck and a scrape on her forehead. Officials said the wounds open the possibility that she was assaulted before drowning. “This Examiner is unable to exclude non-accidental mechanism causing these injuries,” the report said, adding that evidence suggested the bruises occurred before Wood entered the water. The source, who spoke on the condition of anonymity because the case is ongoing, said there is not enough evidence to classify the case as a crime, much less a homicide. Experts said it is highly unusual for coroners to contradict the autopsy findings performed by their own office. Michael Baden, a former New York examiner and noted trial expert witness, said that although both examinations of Wood’s body looked at the same evidence, the new report found the bruising to be far more significant — enough to change the official cause of death. Noguchi did not return calls for comment. 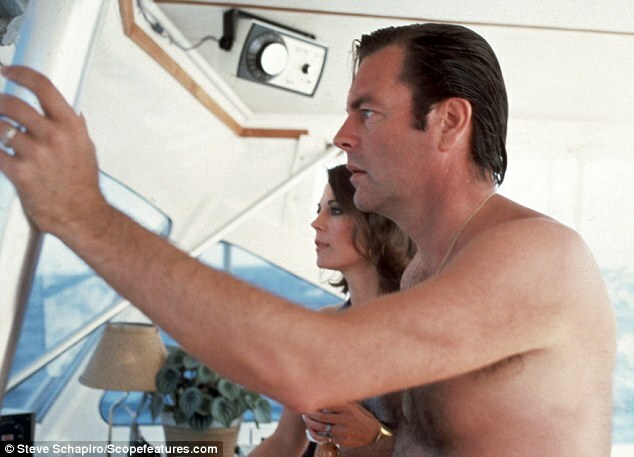 The new report noted “conflicting statements” about when Wood disappeared and whether she had argued with her husband, actor Robert Wagner, who — along with her “Brainstorm” costar Christopher Walken — were on the 60-foot yacht where she was last seen alive Nov. 28, 1981. Hours before her death, authorities said, the three actors had dinner at Doug’s Harbor Reef restaurant and then returned to the yacht, called the Splendour, where they drank and an argument ensued between Walken and Wagner. According to the new autopsy report, Wood went missing about midnight, and an analysis of her stomach contents placed her death around that time. The report said Wagner placed a radio call to report her missing at 1:30 a.m. the next morning. Roger Smith, the Los Angeles County rescue boat captain who helped pull Wood’s body from the water, said he did not receive a call to look for her until after 5 a.m. The original investigators believed Wood received her bruises falling off the yacht and struggling to pull herself from the water into a rubber dinghy, whose starboard side bore scratch marks that seemed consistent with such a theory. But in his report, Sathyavagiswaran noted that investigators did not take nail clippings from Wood’s body to determine whether she’d made the scratch marks, and the dinghy was no longer available to be examined. The coroner believes Wood died soon after entering the water. In an interview Monday, Smith said he wonders whether Wood might have been found alive if the rescue effort had gotten underway sooner. “There’s no question in my mind that he just delayed calling for us,” Smith said, referring to Wagner. He said the cold water may have delayed any bruising. He said he examined the dinghy, which was found beached nearby, and saw dislodged seats and what looked like “nail marks along the inside of the raft,” as if Wood had tried frantically to reach in and rescue herself. Smith said he had doubted an earlier claim by yacht captain Dennis Davern that he had seen bruises on Wood’s body. “He could not have seen bruises on her because out of decency, I covered her up with a disposable blanket,” Smith said. Wagner has said his wife was not suicidal and called her death a tragic accident. According to the account given by his spokesman, when Wagner noticed his wife missing, he believed she had taken the dinghy and went looking for her after 10 to 15 minutes, then contacted the Harbor Patrol when he couldn’t find her. “I have gone over it so many millions of times with people,” Wagner told The Times in 2008. 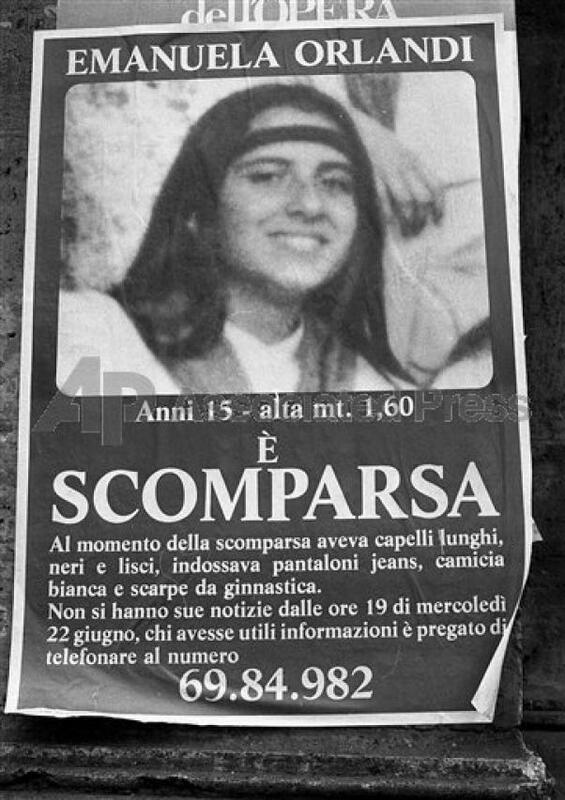 One theory is that the girl’s father, a Vatican employee, had stumbled on documents that connected the Vatican’s bank with organised crime in Rome and that she was seized in an attempt to silence him. Was Caravaggio killed by the Knights of Malta? Caravaggio, the Italian painter whose Beheading of St John graces the Oratory of St John’s Co-Cathedral, may have been killed on orders of the Knights of Malta, according to a researcher quoted by UK media. The cause of his death in 1610 has always been a mystery, with possible causes having said to be lead poisoning from the oil paints he used, malaria or a brawl. Professor Vincenzo Pacelli, from the University of Naples, has now claimed that according to secret Vatican documents, Caravaggio, 38, was killed on orders from the Knights of Malta after he seriously injured a knight in an earlier brawl. The body was then thrown into the sea near Rome and was never given a funeral. The claims are being disputed by John T. Spike, a Caravaggio expert at the College of William and Mary in Williamsburg, Virginia who said the knights had ample opportunities to kill him sooner – while he was in Malta, or during the time he spent in nearby Sicily afterwards. 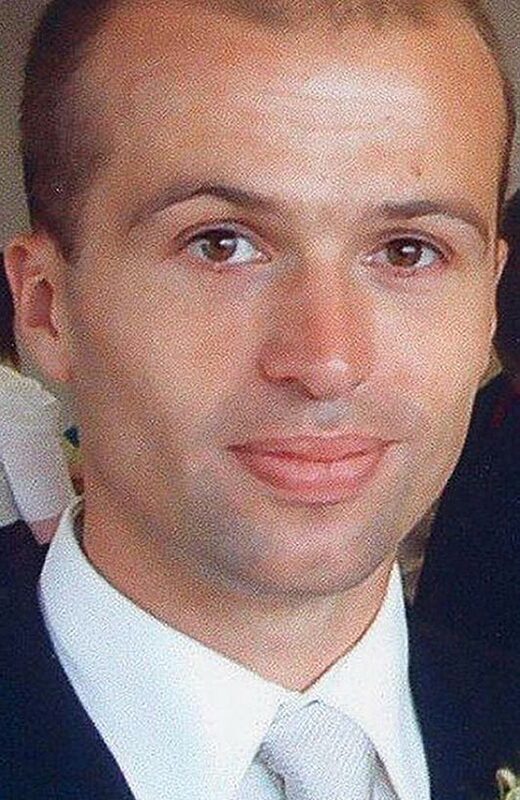 Two years ago, Italian researches claimed to have located his remains in a church grave in Porto Ercole in Tuscany. Pof Pacelli claims that the “state-sponsored assassination” was carried out with the secret approval of the Vatican. “It was commissioned and organised by the Knights of Malta, with the tacit assent of the Roman Curia” – the governing body of the Holy See – because of the grave offence Caravaggio had caused by attacking a high-ranking knight, he said. The academic found historical documents which suggest that the Vatican, which objected to Caravaggio’s questioning of Catholic doctrine, tried to cover up the truth of Caravaggio’s death. A document written by Caravaggio’s doctor and first biographer, Giulio Mancini, claimed that the painter had died near Civitavecchia, but the place name was later scrubbed out and replaced by Porto Ercole. 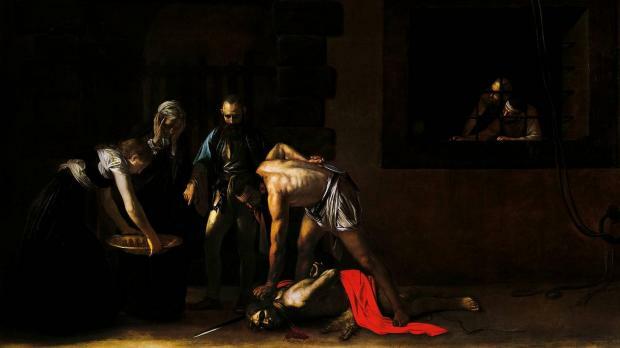 Prof Pacelli has also found an account written 20 years after Caravaggio’s death, in which an Italian archivist, Francesco Bolvito, wrote that the artist had been “assassinated”. Caravaggio was known to have many enemies and he suffered a violent attack in Naples in 1609 by unidentified assailants which left him disfigured. Michelangelo Merisi di Caravaggio lived a turbulent life which saw him fleeing from one city to another. After finding fame in Rome for his distinctive “chiaro-scuro” painting technique – the contrast of shadow and light – he suddenly had to leave the city in 1606 after he was involved in a brawl in which he killed a man. He eventually ended up in Malta where he was made a member of the Knights of Malta. But by 1608 he was in prison, most probably after becoming involved in another fight, in which he wounded a knight. He was expelled by the Knights on the grounds that he had become “a foul and rotten member” of the order and imprisoned in a dungeon. 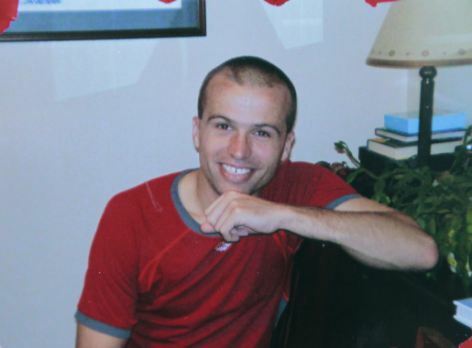 He was released under mysterious circumstances and fled to first Sicily and then Naples. He was heading to Rome in the hope of obtaining a papal pardon for the murder he had committed when he died.